I woke up at 6:30 a.m. yesterday with firm plans to do legs in the morning. Hubby had different plans. He wanted to take me to breakfast. Dilemma! 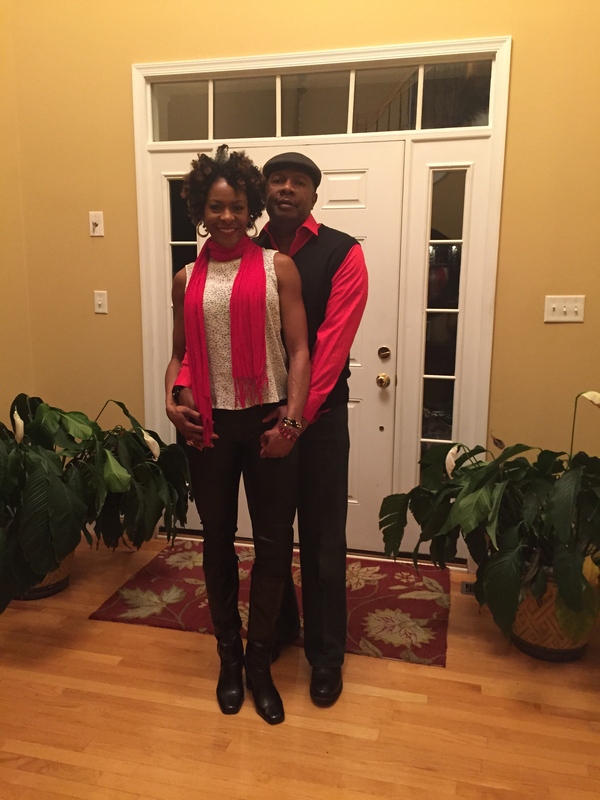 With 26 years of marriage under my belt, I know good and well the importance of spending quality time with my man. The idea sounds noble and simple, but it takes real effort to make it happen. We are just busy behind folks! Mom lives with us, our son plays several sports, we both work, I’m always racing off to the gym, or blogging… add sleep and meals to the mix and, well… damn! Lol! I dressed for the gym, wore flip-flops but tossed my sneaks in the back seat and took hubby up on his offer to breakfast. We dropped B’Dazzle off to camp and drove to Kelsey and Kim’s on Melrose Avenue in AC. My breakfast was the bomb!! I ordered a four egg (2 whites) vegetable omelet with jalapeño peppers. 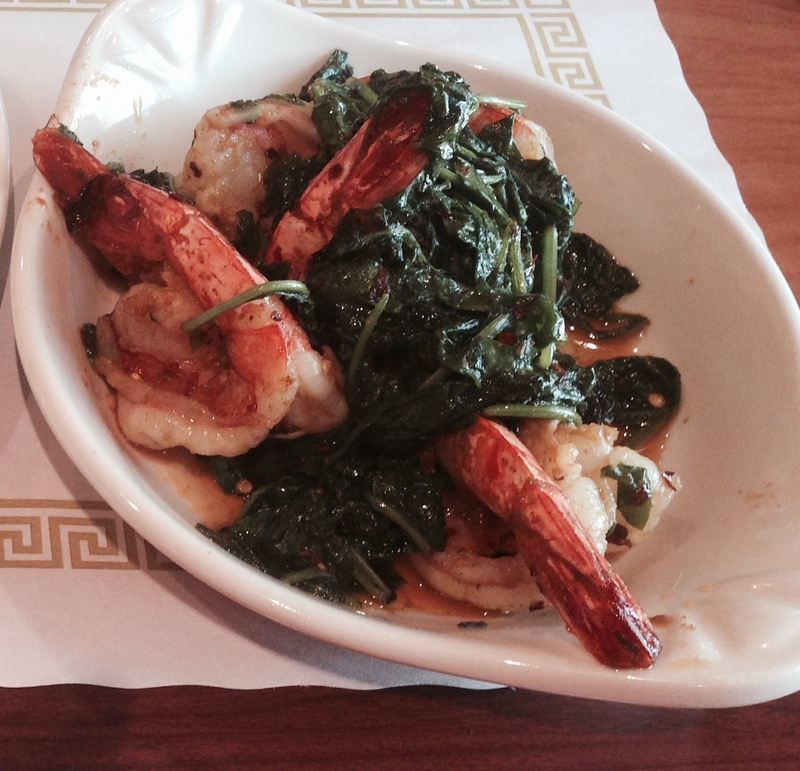 Salmon cakes were not available, so I surprised the waiter and chef with a request for six jumbo shrimp sautéed with fresh spinach and crushed red peppers. Lol! If you think it sounds mouth-watering, you should have tasted it. The chef came out to ask me if the meal was hot enough. I think he wanted to see who the chick was eating all this food at 9 O’clock in the morning. After breakfast, I suggested we walk on the boards. 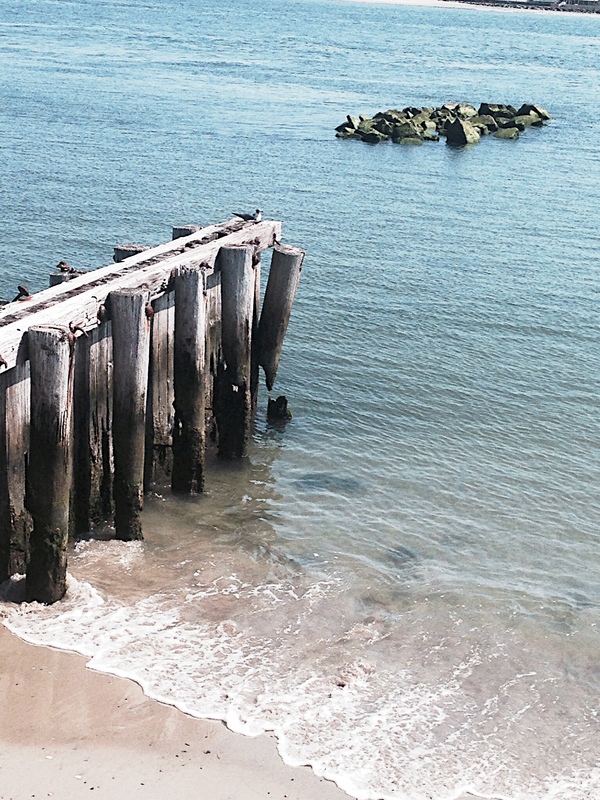 I did not realize though, that Hurricane Sandy destroyed the section of the boardwalk I intended to walk. We ended up walking along the Caspian Avenue Beach, which was wonderful! Shame on me for living in the area all of my life and not knowing the Caspian Avenue beach existed. Seriously, I’m embarrassed. We have a backyard pool, so I usually spend my time there. And the other thing is, when I do a beach day, I want to chill without running into too many students (I work at the high school) or other folks I know in the city. I might sound snobby, but we’ve lived in the area all of our life. Rarely can we go anywhere, and I mean, anywhere without running into somebody. Ugh! Look, we’re very social people, but sometimes, I need to blend into the background and be unknown. Only a week remains before the school year begins, but I hope to spend a least one day out there before the season ends. 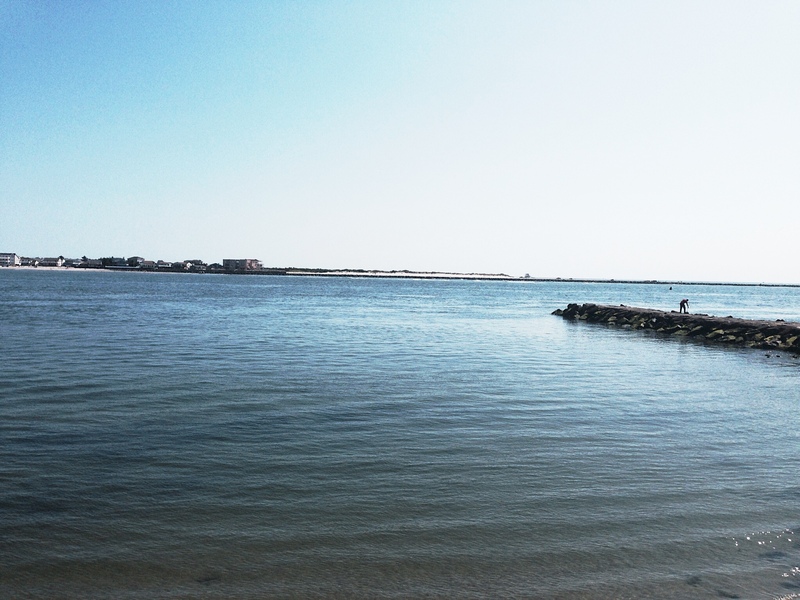 That’s the City of Brigantine that you see across the water. 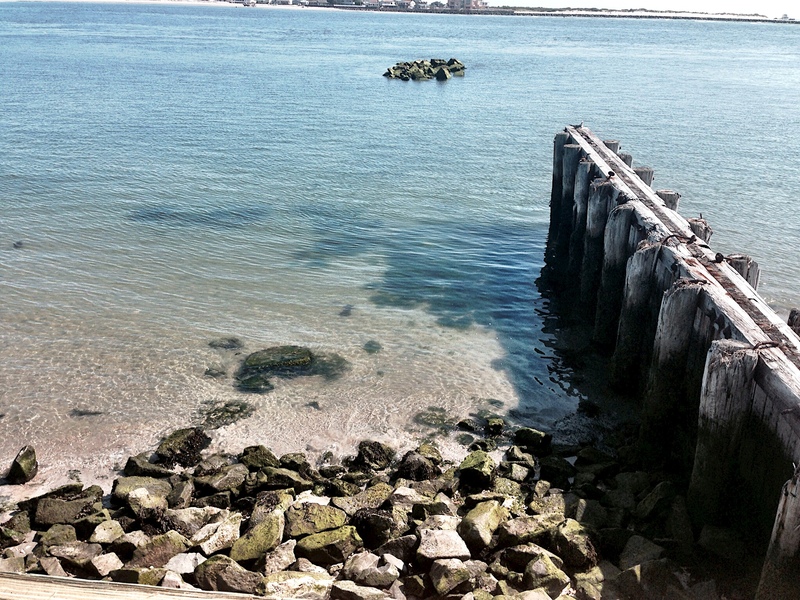 To the right of the rocks are the remains of pilings leftover from Hurricane Sandy. Only this section of the boardwalk was destroyed. I just had to take a picture of the broken and dangling wooden piling. Tho it’s broken, it still kind of cool looking. The setting is pretty (to me). After strolling on this beach, we drove further into the city and walked the boardwalk. I didn’t calculate, but we had to walk a good two miles. Did I make it to the gym? No. But later in the day, I did do walking lunges to meet our son and his tutor on the campus of a local college. That counts right? Lol! This morning, I’m headed to the gym. Last week we celebrated our 26th wedding anniversary. Considering how young we were when we married, it is an amazing milestone. A follower of this blog suggested I expand on the lessons learned. So in addition to my regular posts, I will further elaborate on each lesson. As a child I carefully observed the adults around me give tongue lashings (deserving or not) to one another. Only the children were expected to bite their tongue. Occasionally I tried to express my opinion but mom wasn’t having any of that nonsense. 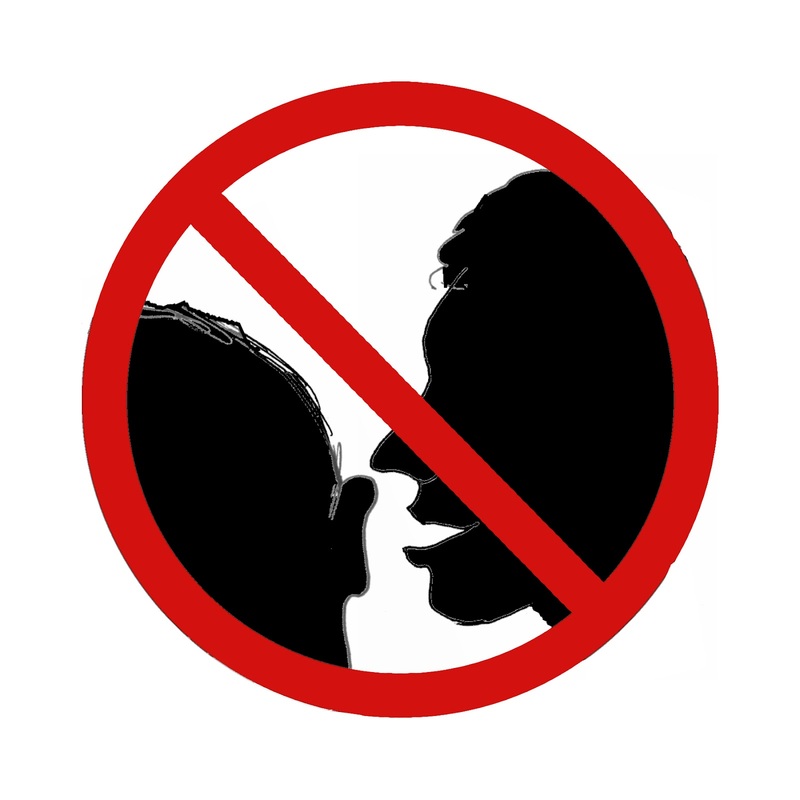 A quick backhand to the lips stifled further opinions from exiting my mouth. Adulthood and freedom of speech wouldn’t come soon enough. We rarely argued, but I remember our first one well. I just didn’t know when to shut up. He was upset with me for offering the use of his new engine red Toyota 4 x 4 pick up. Instead of letting the conversation end as he did, I continued to push the envelope and pointlessly rant and rave about how I felt. The world revolved around me (so I thought) and that’s all that mattered. My rant and rave led to a physical altercation. No, he’s too much of a man to hit me. He slightly pushed me and I ridiculously went off. Swinging and punching, calling him and his family outrageous names and threatening bodily harm. Absolutely out of control and for no valid reason. His feelings were hurt and I was too self-absorbed to recognize that I hurt his feelings. Today we laugh about the incident and several others where my mouth escalated situations unnecessarily. Words can cut deeper than a knife. In some cases, they leave permanent scars. Apologizing doesn’t always take the pain away. My displaced anger and a lack of self-control was damaging. When you have something to say to your significant other, especially when you’re angry, stop. Breath. I mean really take a deep breath and slowly let it out of your mouth. Then ask yourself, if you really mean what you are about to say and how you would feel if your partner mouthed your words to you. You probably wouldn’t like it, so don’t go there. Sometimes it is best to say absolutely nothing that than to mouth words you’ll later regret.